The AEA Central Africa Regional President, Rev. 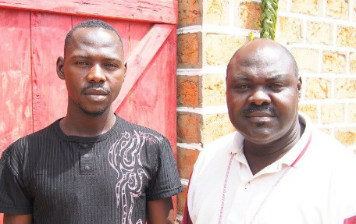 Nicolas Guérékoyamé, has been directly hit by the violence in the region as he has lost his youngest brother and nephew (pictured above) in the attacks. Rev. 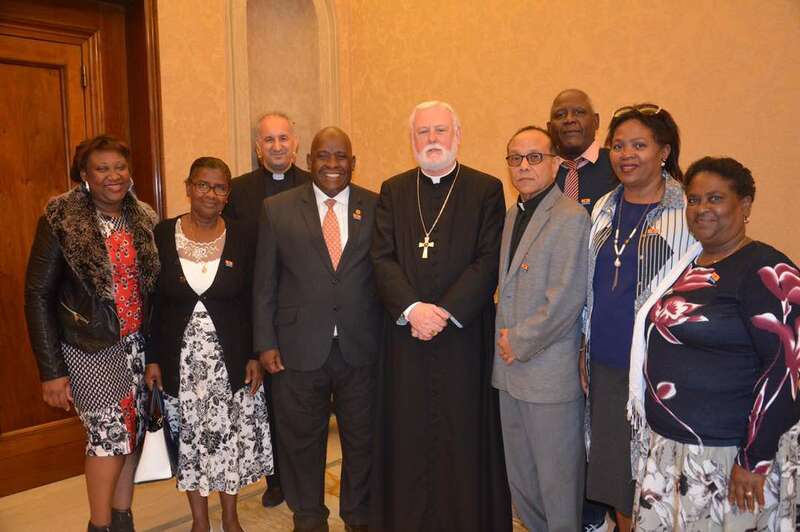 Nicolas has suffered a spate of targeted attacks before, owing to his strong evangelical ties and engagement in initiatives aimed at promoting peace and reconciliation between different groups in the country. The tremor of violence that has led to the killing of about 300 people the past couple of weeks has caused concern in the region as chaos continues to loom large. 7 June, 2017 – Since fighting flared in May between rebels, more than 68,000 people have fled their homes within the Central African Republic, while more than 20,000 have sought refuge in the Democratic Republic of the Congo (DRC), according to the Office of the United Nations High Commissioner for Refugees (UNHCR). Despite the rising tides of violence, The Evangelical Alliance has been mobilizing believers for peace. 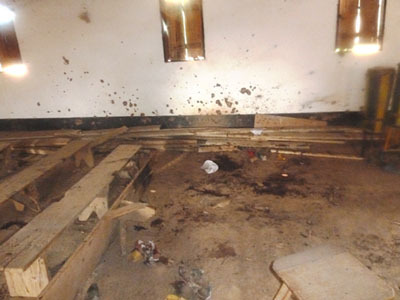 In Bangassou, when Muslims were attacked, some fled to Churches to be protected. The church has been trying to do its best with limited means. He says the interfaith community has previously met with the UN representative in the country and discussed at length, the potential of increasing attacks if the rebels continue their foray into other regions. Unfortunately for the CAR, what they feared most is currently happening. So far, pleas of support have not born fruit, but the resilient church community in the nation remain strong amid the obvious challenges. Rev. 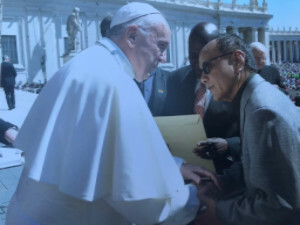 Dr. Mario Li Hing, AEA Board Chairman, led a delegation of Christian leaders to Rome to meet with Pope Francis and Vatican leadership. The delegation highlighted the plight of exiled Chagossians or Chagos Islanders who had been forcefully removed by the U.K. and U.S. Governments from the Chagos Archipelago, also known as the British Indian Ocean Territory (“BIOT”), in the late 1960’s. AEA’s Board Chair, Rev. Dr. Mario Li Hing Meeting with Archbishop Paul Callagher, Secretary of States Foreign Affairs Vatican, Permanent Member of UN for the Vatican. This move was meant to make way for the U.S. Naval Military Base on Diego Garcia, the main island of the Archipelago. They were later shipped to Seychelles and Mauritius. Dr. Li Hing, who serves as Chaplain and Adviser for the Chagos Islanders, has been part of the leadership team spearheading resettlement on behalf of the Islanders. 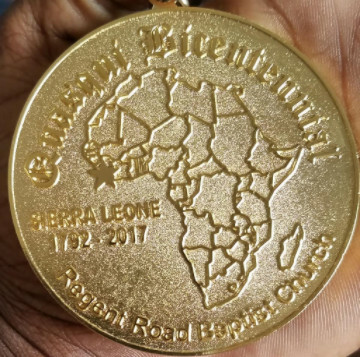 The AEA General Secretary, Dr. Aiah Foday-Khabenje received an award from the first Baptist Church in Sierra Leone -Regent Road Baptist Church (RRBC)-for his key role (alongside other awardees) in the propagation of Christianity in Sierra Leone. The Regent Road Baptist Church was founded in 1792 by David George, An African American freed slave from Virginia. The Church has an illustrious history and is the first Baptist Church to be established in the continent of Africa. The AEA General Secretary, Rev. Aiah Foday-Khabenje, joined Lutherans across the globe -as an ecumenical guest – at the 12th assembly of Lutheran World Federation (LWF) held in Windhoek, Namibia from 10th -16th May, 2017; themed – Liberated by God’s grace. 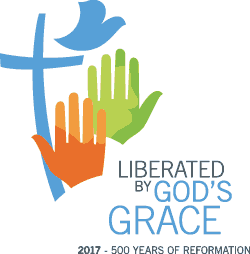 The Assembly brought together nearly 800 participants, including 324 delegates, in the Reformation’s 500th anniversary year. The LWF assembly spoke out on issues concerning the life and witness of the churches and the world among issues such as with running sub themes like, “Salvation- Not for Sale”, “Human Beings Not for Sale”, “Creation Not for Sale” and “Liberating Grace: The Call We share”. Participants were encouraged to reflect on the themes and to reflect on topics of particular relevance in their own contexts.